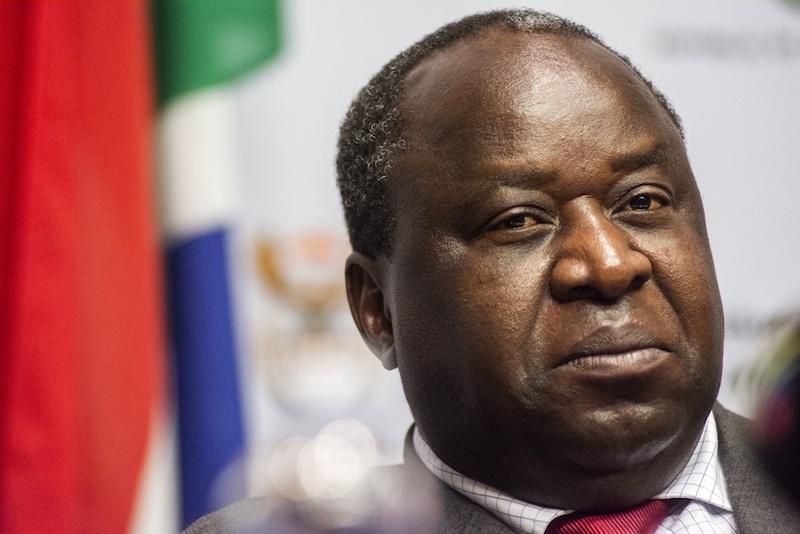 JOHANNESBURG – Finance Minister Tito Mboweni will deliver his medium-term Budget policy speech in Parliament today amid difficult economic circumstances. However, this is the right time to announce the establishment of a South African Sovereign Wealth Fund (SWF) with its core strategic mandate centred around macroeconomic stabilisation as well as long-term savings. The SWF idea is a people-driven initiative following hard on the heels of the ANC resolution at the 54th National Conference in 2017 and EFF policy on “Development of the African Economy”. The SWF initiative is being taken forward by a task team of the BRICS Business Council’s Financial Services Working Group. The announcement by Mboweni will encourage those professionals, academics, business leaders and others to continue to make meaningful contributions by participating in conferences and election manifesto formulations. I was invited for tea by a member of a branch of the ANC in Johannesburg’s northern suburbs to have a discussion on the “multi-sector manifesto contribution” by professionals, academics, business leaders and others. Nevertheless, the current SABBC has resolved to rise above the fray, follow protocols and adequately do a proper hand-over to the new SABBC. In his letter to SABBC members, chairpersons of working groups and the more than 100 working group members, Dr Iqbal Survé wrote that “it has been an honour and privilege to serve our country through the BRICS Business Council. We need to understand the reaction to Davies’s letter from the history of Black Business in South Africa. The Black Business Council (BBC) was formed in 1996 with the belief that South Africa desperately needed radical economic transformation. Huge disparities continue to exist, and sadly, they’re all around us. The conditions under which black businesses operate must be vastly improved, which at the same time will greatly improve socio-economic stability in South Africa. Surely a no-brainer for government and business alike. Is it really that impossible for all of us to come together on this one? In 2003, black and white business under the banner of the BBC and Business South Africa came together under one flag and formed Business Unity South Africa (Busa) as an apex body. Efforts to get black and white business to talk with one voice were made, but this has eluded business in South Africa. In July 2011, the Black Management Forum (BMF) quit Busa, citing the “flawed structure of Busa, where the black business voice is permanently outnumbered and suppressed”. The BMF then said in a statement that of the about 50 organisations making up Busa, only 10 votes went to black business. The BMF also said Busa’s comments on labour law reforms, labour brokers and “its stance on good governance in the appointment of a new chief executive, were examples of how far behind Busa is on embracing transformation and good governance”. In September 2011, at a summit organised by the Confederation of Black Business Organisations after the BMF’s withdrawal from Busa in July, the new BBC was formed under the leadership of Patrice Motsepe to ensure unity among black businesses. There is no doubt that there is a need for business to unite. Busa and BBC representatives are already working together in different fora such as the Presidential Business Working Group, the Chief Executive Initiative, SABBC, and various international bilateral business councils. The letter will turn out to be pretty disastrous for South Africa and the ANC. There are legitimate reasons for some of us to be upset in our capacity as business leaders and professionals, but we will continue to serve our country with honour, dedication and dignity.